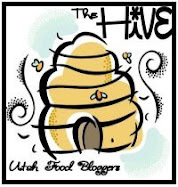 Phe.MOM.enon: Moms Who Make It Conference - Get Ready to Attend Utah!! Moms Who Make It Conference - Get Ready to Attend Utah!! This may very well be the most important post I have written in a while - please, please do yourself a favor and read about this conference because it is something you really won't want to miss! 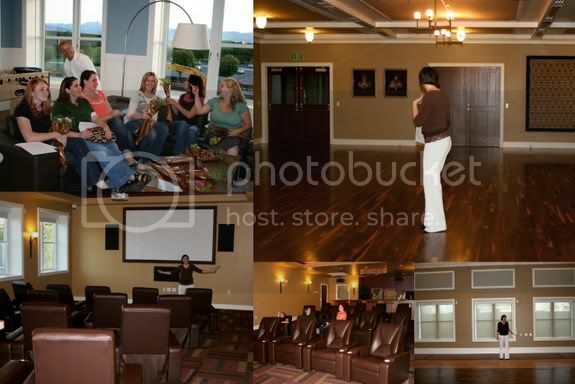 I recently got to preview the facilities for the upcoming Moms Who Make It Conference being held July 16 in South Jordan (UT). I am lucky enough to be one of six blogger mom's who are 'Backstage Bloggers' for the conference and we are here to tell you all about what this event is going to be and why you really need to make the effort to get yourself to this event. Joanie of Keeping Up With M.O.M. 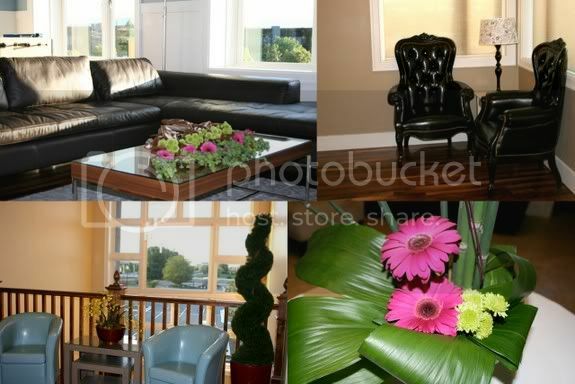 I also had the pleasure of meeting the one and only Mandy of The Potted Pansy, who brought all the gorgeous flowers you see in these photos! 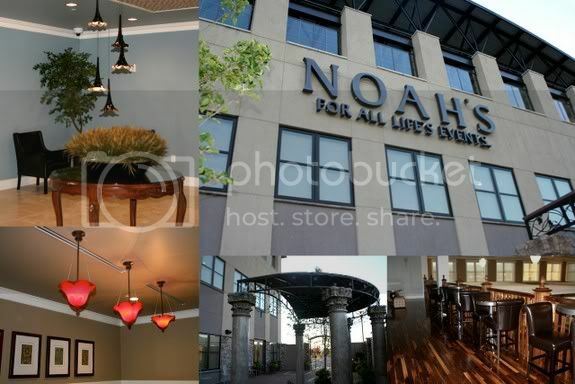 The venue for the event is a place called Noah's and it is amazing. Seriously, I just wanted to move in! Just so you know, the cost of this event, compared to others you might see out there, is minimal and do you know why? 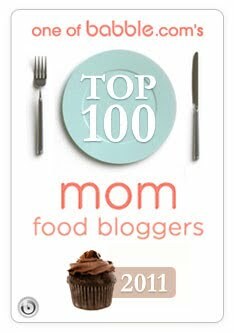 Because the creators of this event at CreatedByMom.com are more interested in helping you than anything else. Seriously. These ladies are passionate about what they are doing here and you owe it to yourself to attend the conference - even if it is just for a little while - and find out more. 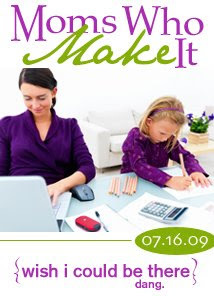 They are putting their hearts and souls into this for all Moms! 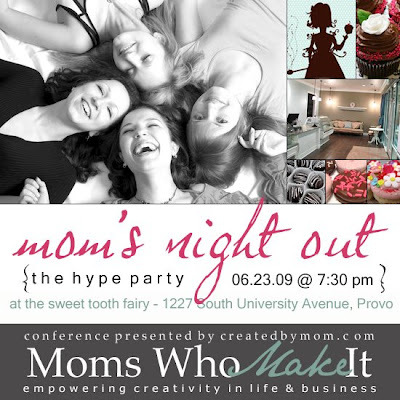 In fact, this event is important enough that rather than go on and on and on - and I could, believe me - I'm going to just tell you to click here and read all about it - especially the fact that there is a HYPE PARTY to help get excited about the event on JUNE 23 at Sweet Tooth Fairy in Provo - check out the Facebook page! - come have fun and some cupcakes and find out what it is all about! Just click the annoucement above to see all about the sweet tooth fairy! There are mini classes, key note events, luncheons and dinners and so many wonderful things that you should find out about it straight from the source where you can get your tickets to this one-of-a-kind event! I'll see you there - I'll be the quirky one who is probably laughing at a really bad joke I made myself. 'Cause you know that's just how I roll. Want your very own badge for your blog or site to help hype the event - please please feel free to take one of these!